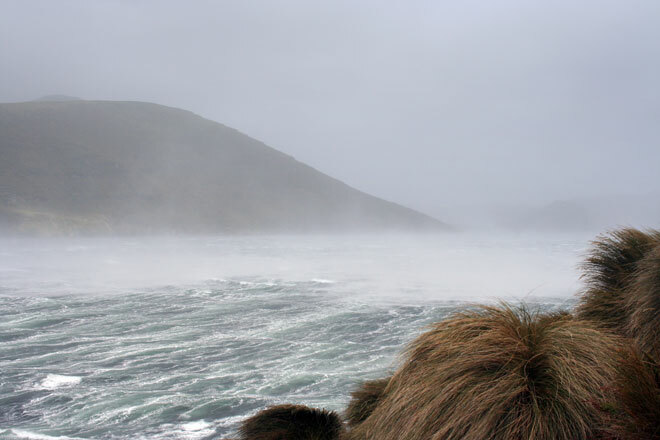 The winds howl and the sea throws spume at Davis Point, Campbell Island, in 2008. Such conditions are common in the subantarctic islands, especially on Campbell Island, the farthest south. In an average year the island gets less than an hour’s sunshine on 215 days. Winds of more than 100 km per hour occur on at least 100 days.